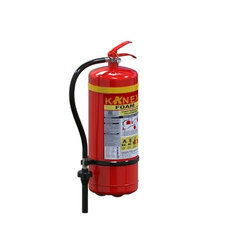 Backed by the skilled of our team of dedicated professionals, we are involved in providing Foam Fire Extinguisher. - This equipment is available with brass forging caps. 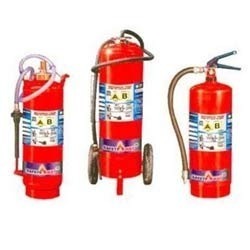 Powder coated MS Body, Upright type with Brass Forged Cap, Hose with ABS Foam Marketing Nozzle, CO2 Catridges, AFFF 6% liquid complete with All Accessories As per IS: 10204 With ISI Mark , Suitable for Class ‘A’ & ‘B’ Fires. Available in 9ltrs, 50 ltrs, 135ltrs.